Read twice and heard once! 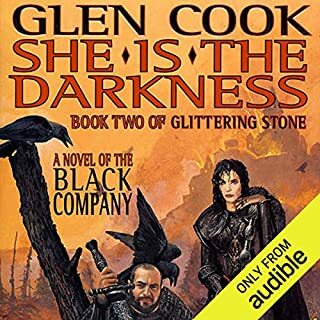 The second book in the now three-decades-old Black Company series, which still remains a good read. 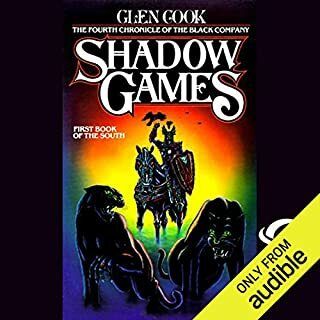 Cook did something innovative for the time, which was to unshackle himself from the usual good-vs-evil conventions of fantasy, and write something darker and more subjective. As the lead narrator, a soldier/healer/annalist named Croaker puts it: "I do not believe in evil... I believe in our side and theirs, with the good and evil decided after the fact, by those who survive. Among men you seldom find the good with one standard and the shadow with another." 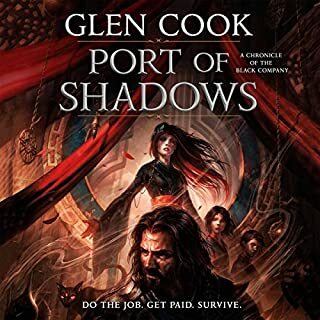 Cook’s style here is similar to the first book, a hard-boiled account that doesn’t waste too much time on world-building or character backstories, but simply relates events as they seem important to Croaker. 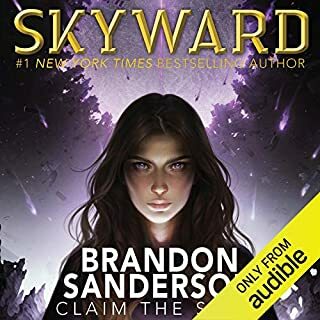 The background is a standard fantasy world, with castles, swordsmen, taverns, wizards, crypts, undead creatures, and powerful sorcerers, but there’s something about the world-weary, grunt-level view of it that I found refreshing. Croaker and his friends aren’t the heroes sitting at table with Elrond in Rivendell -- they’re the rank-and-file out patrolling the slums for masters they don’t love, putting down uprisings by unwashed rebels with their own dubious leaders, and the cynicism shows. The first book wandered across a landscape of battlefields and took a while to cohere around a narrative, but this one has more continuity. The Black Company is now in a city in the far north, investigating a strange new threat to The Lady. 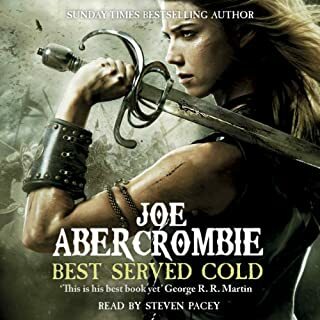 However, Raven and his charge, Darling, a girl who may be the reincarnation of someone with the power to destroy the Lady, have come back into the picture, and Croaker is finding it harder to hide this secret from his powerful employer. 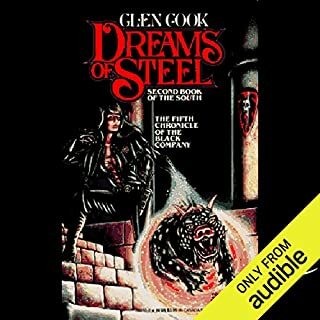 There’s also a second storyline, which follows a cowardly, put-upon innkeeper named Maran Shed, who desperately needs money, and learns of a dark way of making it. Shed’s financial-management skills, however, leave something to be desired, and his actions soon create problems for everyone. 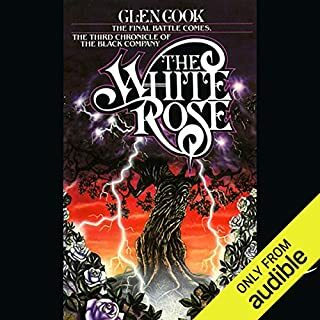 I enjoyed the Black Company storyline, which fills in some of the side characters a little more, and contains an eerie magic battle scene reminiscent of the first book. The Shed plotline, which has a bit of a horror story feel, is written in the third person, and I liked seeing Cook develop a flawed but not-entirely-unsympathetic character and give him an eventual shot at redemption. Naturally, the two storylines come together, and Croaker is forced to make choices about his own redemption. There are a few weak notes, in the form of a rushed climax, but I’m curious to see how things will play out in the next entry in the series. 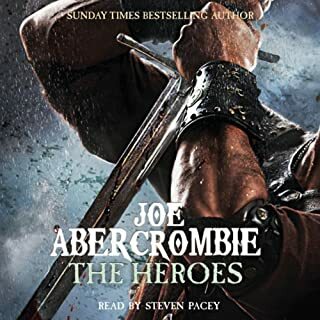 In sum, if you’re in the mood for “gritty” fantasy that’s a little more streamlined and episodic than certain other hefty series, this one is a good, brisk read. 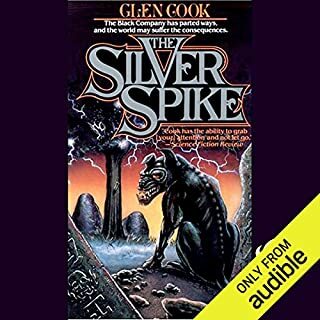 I should also note that I’ve gotten to appreciate the “grizzled” voice of audiobook narrator Marc Vietor, who has come to be Croaker in my mind. 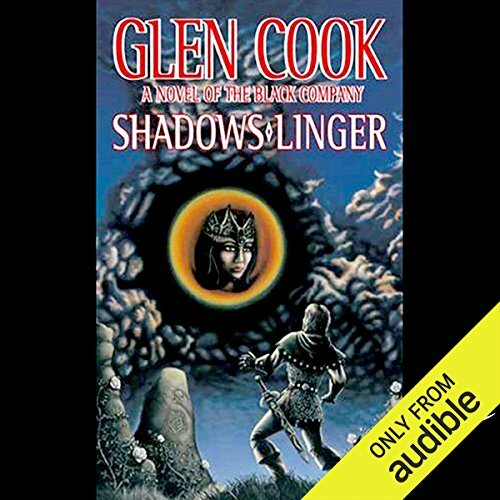 Would you consider the audio edition of Shadows Linger to be better than the print version? 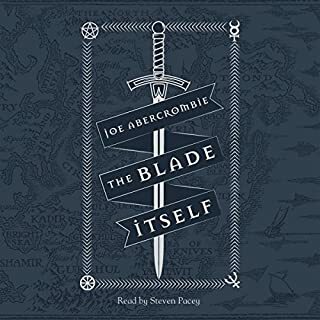 I enjoy listening to the audio version because I can take it with me when I am going for a walk or other activities that doesn't let me read, or if I am tired I can rest my eyes but still enjoy the story via audio. 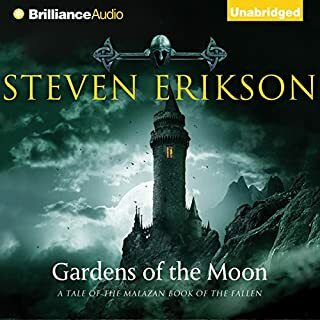 I wouldn't say the audio edition is better than the printed, as they both have their value, but I will say I enjoy the audio version greatly and am grateful for it. This second installment, like the first, share similar themes that I enjoy. It continues to tell a tale of the necessities of sometimes having to commit acts of evil in order to survive, that desperation can drive a person to do things that are abhorrent under normal circumstances. And how one has to live and cope with these hard decisions, and one day, hoping for redemption and atonement. 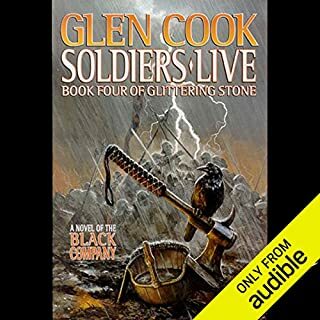 Yes, I previously listened to the first installment of the Black Company series. I think Marc did a better job than before. Marron Shed's journey and redemption. 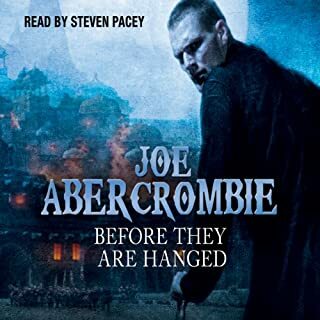 One of my complaints in the first installment: "The Back Company" was the fact that it was somewhat difficult to follow at times, leaving the listener somewhat confused as to what is exactly happening in the story. Thus, I am happy to say that "Shadows Linger" did not have the same issues. From beginning to end, the story flow nicely with smooth transitions from one scene to the next, and from chapter to chapter it was very easy to listen to. 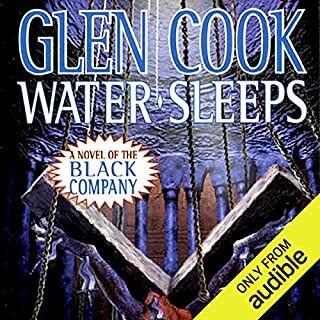 Again, Glen Cook gives a an adventure novel in trompe-l'oeil, situated eight years after the first book.The Black Company is present, of course. The narrator is still Croaker, the physician, warrior and chronicler, growing older and wearier; wondering about the souls of the Company and of his friends. But the real subject of the book is an innkeeper, Maran Shed. Cowardly and irresolute, Shed consciously allows himself to be manipulated into the blackest evil. Cook's talent is in letting us follow Shed's own analysis of his descent, his own disgust with himself. Gradually that disgust grows to outweigh his fear, and he slowly climbs back up from the pit of his own soul. I haven't read as credible an incredible character in a long time. Highly recommended. I'm now awaiting tome 3! 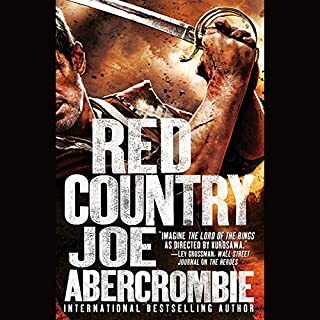 If you read the Black Company you need to read this second book. It puts and end to a story with the beginning of a new thread. The story snuck up on me. Early and even up to a quarter of the way through I felt the story was dragging. However this is a sign of an artist at work as it was not dragging but providing a rich back story for what was to come. What I had thought to be fluff was pure gold. Croaker and company then proceeded to put closure around several story lines. Then in the final moments a new wide open story is begun with a rich and well developed cast of characters behind it. If the next six books are as well crafted as the first two it will be an investment well made. 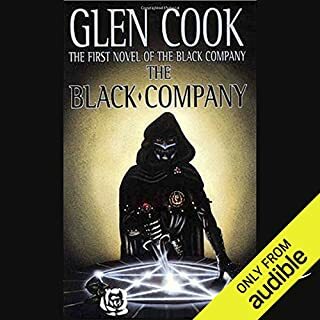 The black company is such a nice departure from the traditional fantasy Orcs, Dwarfs and Elf's staple but remains true to even the most dedicated fans that everyone should give it a chance. 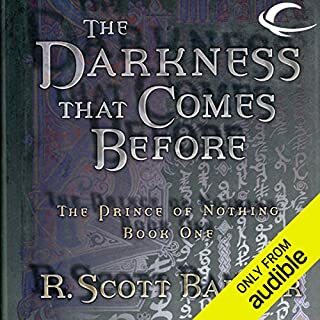 This is a continuation of the Chronicles of the Black company in the north. It is amazing and also sad at times. 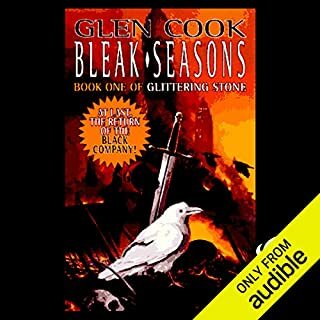 absolutely brilliant characters and plot, best of the war fantasy genre and still sooo unique. I will keep listening as long as it remains with this great story and narration. I'm obsessed with this series. The second book was just as good as the first.